What can our sweaters teach us about politics? Look down at the shirt you are wearing. Touch it. Feel the fabric. Now reach within your shirt and try to find the label. What is it made of? The chances are it contains a % of polyester—a material found in approximately 60% of garments on retail shelves today. For manufacturers polyester is a durable and cost-effective material that can mimic pretty much any other fibre; it can be used to replace cotton in jersey t-shirts, silk and lace gowns or thicker garments or sweaters. You can see why it’s such a win for many brands. 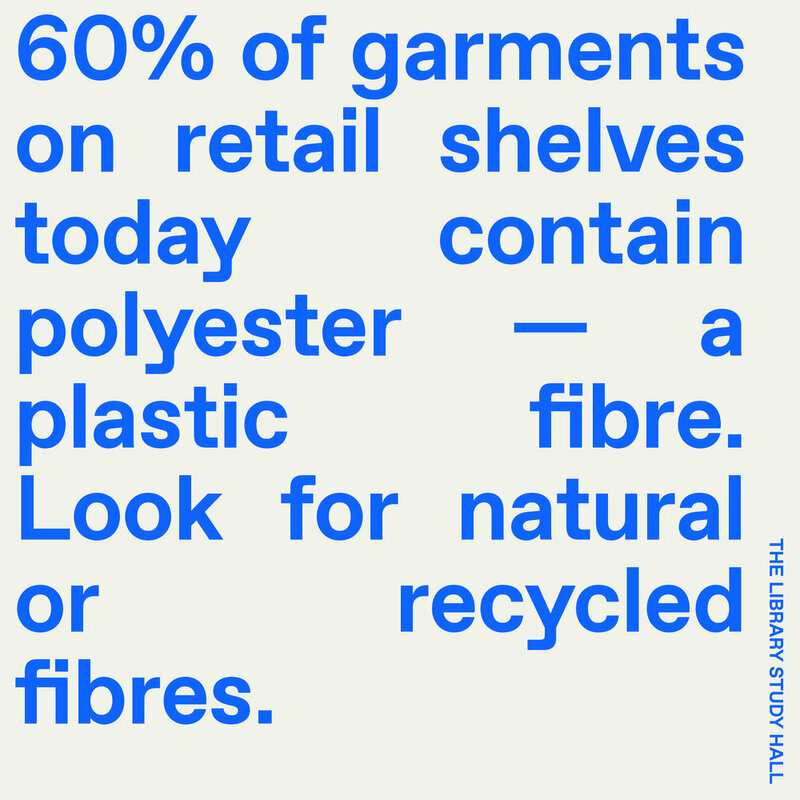 However, the raw material of polyester is oil—almost 70 million barrels of oil were used last year to meet the demand for the world’s consumption of poly-fibre garments. It is now the most commonly used materials in our clothing but it takes more than 200 years to decompose. The throw away culture we’re currently living through means many of these poly-fibre garments are disposed of after less than 3 wears, often into landfill. Furthermore, when you wash poly-fibre garments each cycle releases micro-plastics into our rivers, lakes, and oceans causing them to end up in our ecosystem and eventually our food. I’m from Lebanon, not far from Dammam, Saudi Arabia where most of the oil used to create plastic comes from. In my lifetime I’ve watched my country become a dumping ground for the environmental waste of other powerful countries such as Germany and Italy. According to the World Wild Life Federation, the Mediterranean Sea, “Holds only 1% of the world’s water but contains 7% of all global micro-plastics”. As someone who comes from a country that was colonized by Europeans, a country whose water has been contaminated by micro-fibres, I am interested in understanding how materials are connected to politics and how we can redesign the system to support the earth and the people. I have dedicated my career to researching and designing new models and standards to improve and progress the fashion industry toward more sustainable practices. One-arm of my research is tracing materials to their country of origin. Having this trail helps us to better understand the power dynamic between politics and fashion and expose modern-day colonialism within our supply chains. Knowing that plastic originates in the Middle-East, we can begin to understand that conflicts in that region are related to oil and thus to plastic—a resource that contributes to the killing of our fish, our oceans and our land. So why are we still using it? Shouldn’t it be banned by now? What about recycled plastic? The materials we use at Slow Factory, (a label that I founded and design for) are all-natural fibres. They’re fibres that return to the earth as food rather than poison, fibres that can be recycled and reused. In the context of shopping for everyday needs, my personal mission is to avoid polyester and all oil-made materials and to instead look into natural fibres that either have been recycled or can be recycled at the end of their lifecycle. We aren’t used to thinking about the lifecycle of our products but, beginning to think about this can inspire us to make more long-term purchases. Having coined the term “fashion activism”, I use fashion as a medium for social and environmental change. I also think it’s worth while to look at the origins of the system we have today. The exploitation of resources and labour was designed under colonial empires and this still reflects today’s economic reality and current industry practices. Most modern trade routes still echo the older colonial routes. The colonial legacy can be seen in the practice of mostly western companies seeking cheap labour in former colonized nations. So, what can we do? I believe knowledge is power. Once we begin to understand the range of issues related to fashion and how our sweaters can teach us about global politics we can either find ourselves overwhelmed or empowered. I vote for empowered; the more you know, the more you can act. We all need to be accountable and we all need to look more closely at what we buy and the clothes we wear. When we purchase t-shirts that say, “Save the Earth” or, “We Should All Be Feminists”, we need to look at what they are made of and who made them. 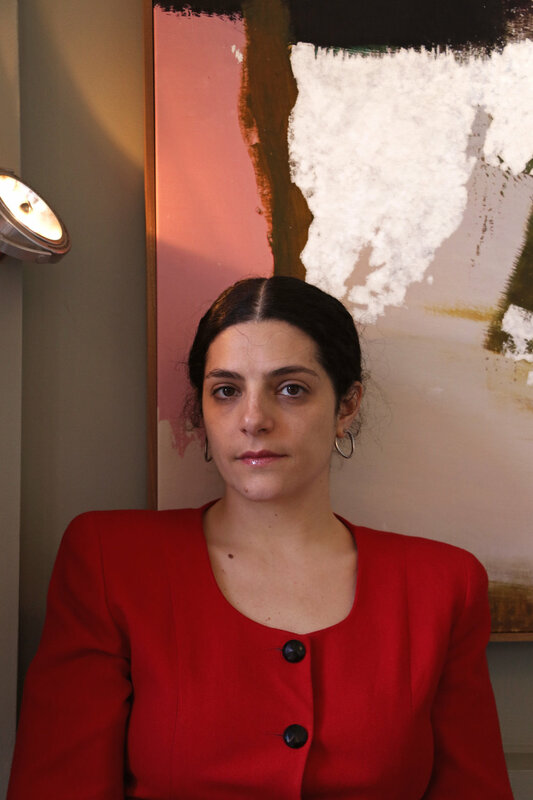 We need to ask what the working conditions of the people who made my clothes are like and what has been sacrificed for the low-price-points on the high street? We need to push brands to be more accountable and more sustainable in their supply chains and practices. When we’re more conscious consumers we can understand the impact of our purchases on the earth and understand the politics surrounding our clothes better. Instead of buying brands with questionable practices, choose to purchase something that aligns more with your core values. Support small brands and empower local economies. Instead of buying new, swap your clothes, buy second hand or vintage, and use your money to support brands. I invite you to learn about materials, resources and sustainable fashion on The Library Eco, follow Fashion Revolution, follow the conversation at the next Study Hall and get ready to make your voice heard by asking #whomademyclothes? Study Hall London takes place on 27th April at CSM. More info here.